Slapstick. 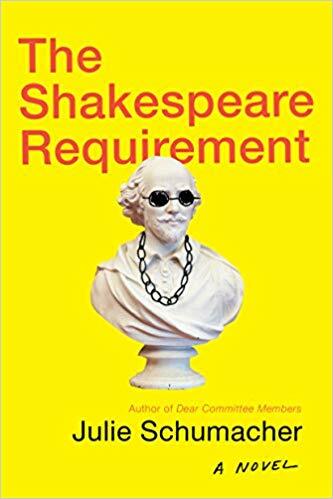 The wit in Julie Schumacher’s novel titled, The Shakespeare Requirement, tickled all my funny bones. Who knew that a university could be the ideal location for real slapstick humor? Any reader whose patience in meetings becomes strained will feel connected to parts of this book. The thankless role of a department chair falls to protagonist Jason Fitger, and the eccentric colleagues in the English department come alive on these pages. The buzzwords and antics of the administration and the successful Economics department kept me smiling, and what better name could Schumacher have chosen for the institution: Payne University? Rating: Four-star (I like it) Click here to purchase The Shakespeare Requirement from amazon.com.